Unfortunately, due to the extremely wet fall and winter seasons the rehabilitation work at Brighton Dam is behind schedule and all recreation areas on Triadelphia Reservoir will remain closed for the season. This includes Brighton Dam, Greenbridge, Triadelphia, Pig Tail, and Big Branch recreation areas. Note that the Azalea Garden is also closed this season and that in the coming weeks the sidewalk along Brighton Dam road will also be closed to pedestrian traffic. 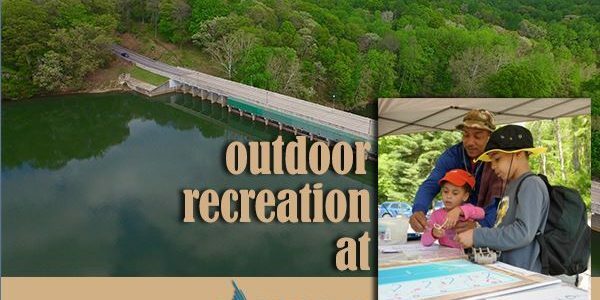 Recreation areas on T. Howard Duckett (Rocky Gorge) Reservoir will be open for the 2019 season. This includes Browns Bridge, Scotts Cove, and Supplee Lane. While our goal is for the recreation areas and trails on Duckett Reservoir to be accessible on March 15, we cannot guarantee that date due to weather and excessive wet conditions on trails. On March 14 we will send out a notice if any boat ramps or recreation areas on Duckett Reservoir will be unavailable. As always we ask that if there are wet conditions you avoid the trails and access roads to help preserve the integrity of the trails. While out on the watershed please be mindful of your surroundings. Due to the high wind events over the last few weeks there are many large limbs across trails and trees have fallen and continue to fall because the excessive soil moisture. If you have driven along Brighton Dam Road you have probably noticed that the visitor center is open. Note that the traffic pattern of the parking lot has changed. Please drive slowly when entering the property and park in the “upper lot” to the right of the building, look for the “Visitor Parking Only” sign. The lower parking area is for construction vehicles only.Since parking is extremely limited due to construction parking we recommend that you don’t bring trailers (boat or horse) when you come to purchase a permit. Remember you can purchase your annual or day-use permit online atwsscwater.com. Look for the Watershed Use Permit under the “My WSSC Water” section in the middle of the page. You will have to create an account if it’s your first time using the website. Note that boat mooring or complementary permits cannot be acquired online. As was the same as last year, all gates at the recreation areas will open at sunrise and close at sunset. Our watershed team uses the following website to determine opening and closing times https://www.timeanddate.com/sun/@4349575. All watershed users are expected to be familiar with WSSC’s Watershed Recreation regulations and permitted activities. Please save these important phone numbers in your phone.